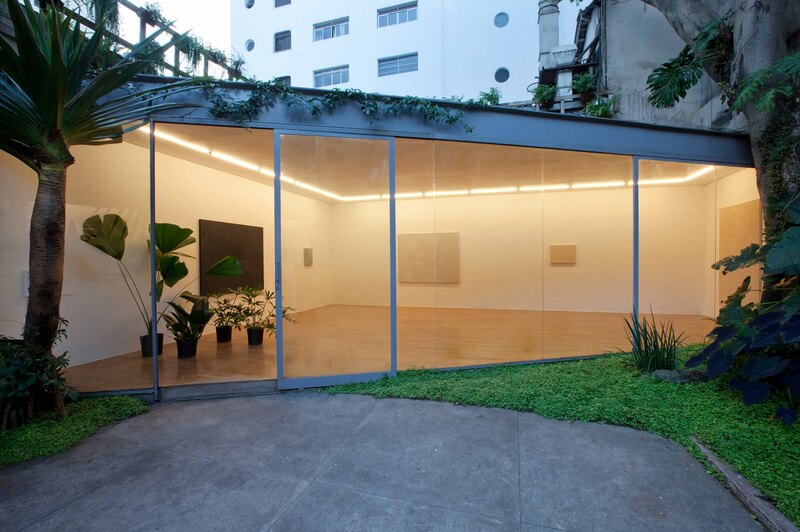 Mendes Wood DM is pleased to present Conservatorio (Conservatory), the first solo exhibition of Maaike Schoorel in collaboration with curator Carolyn H Drake in São Paulo. Conservatory brings together an entire new body of work dedicated to female archetypes and mythical figures; Eve, Gaia, Circe and the Odalisque. Through the complex reworking of original source material Schoorel is able to transform historical icons into contemporary heroines. Conservatory translates as a greenhouse especially used to grow delicate, rare and exotic flowers and plants for decorative purposes. It can also be defined as a school that offers training in the dramatic arts, and especially music. Considered jointly, these two definitions bring together some of the concerns and provocations that are suggested throughout this exhibition. Schoorel’s seemingly monochromatic canvases invite viewers to slow down the process of looking at painting and its inherent subject matter. 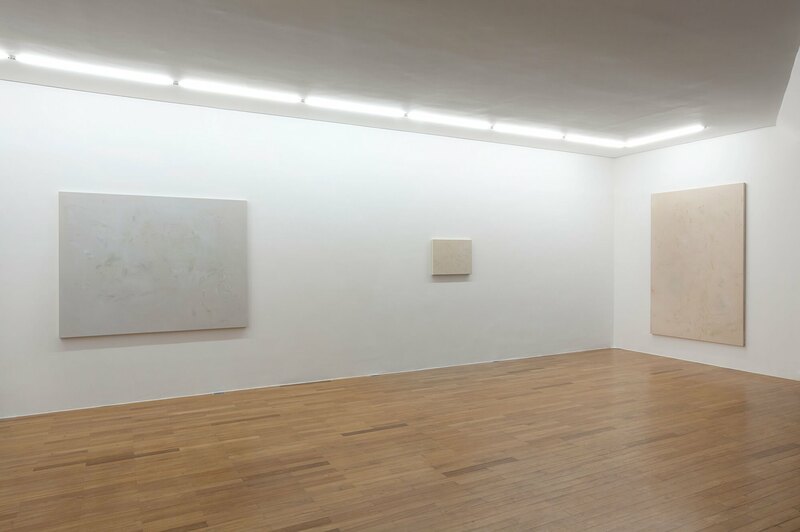 Providing an intensified space of perception, the canvases bear a wealth of visual information that can only be deciphered with time and consideration. 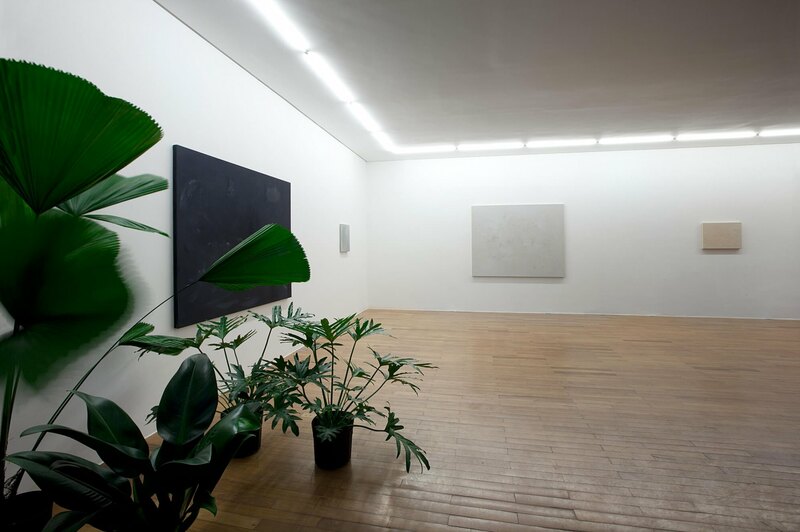 The gallery is situated within a botanical outdoor garden – elements of which the artist has incorporated into the exhibition space; pots of fan palm, mostera deliciosa and philodendrum act to purify the gallery’s air. The conversation between the theme of Schoorel’s paintings and nature reiterates the transformation of the historical subject within its contemporary surroundings. Self Portrait as Eve shows the artist herself posing as the biblical figure within a garden echoing the context of the exhibition, but also drawing from the ambiguous definitions of the show’s title. This project marks a shift within Schoorel’s practice in regards to the authorship of the artist, as she sees this body of work as a collaboration between herself and her sitters, fellow female artists, curators and colleagues. The paintings are completed in shades of white tinted gesso; yellow, pink, grey and black. The multitude of colors and textures in Schoorel’s paintings perceived by the viewer may be compared to the distinctive tonalities and sounds one hears while listening to a piece of music. Elements are sensed at different moments in time, creating an ever changing and constantly moving experience of the work within space. 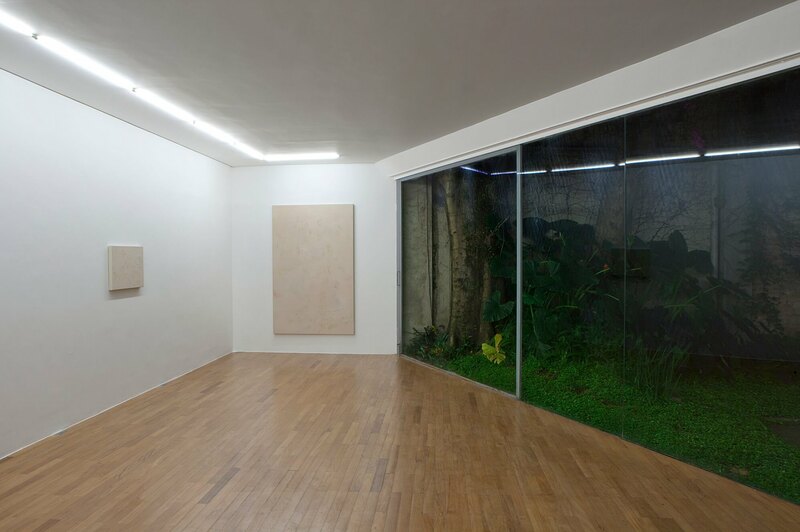 Conservatory becomes a space in which the relationship between the past and the present, natural and constructed material, the artist and her subject, and conceptual and physical experience becomes blurred and is able to be reconsidered. Maaike Schoorel was born in Santpoort, the Netherlands in 1973. She lives and works between Amsterdam and New York. Schoorel’s solo exhibitions include Frans Hals Museum, Haarlem, The Netherlands, 2012; Maaike Schoorel – Zelfportretten & Stillevens, the Embassy of the Kingdom of the Netherlands, London, United Kingdom, 2011; Art Features, Art 41 Basel, Basel, Switzerland, 2010; Album, Museum de Hallen, Haarlem, The Netherlands, 2008. 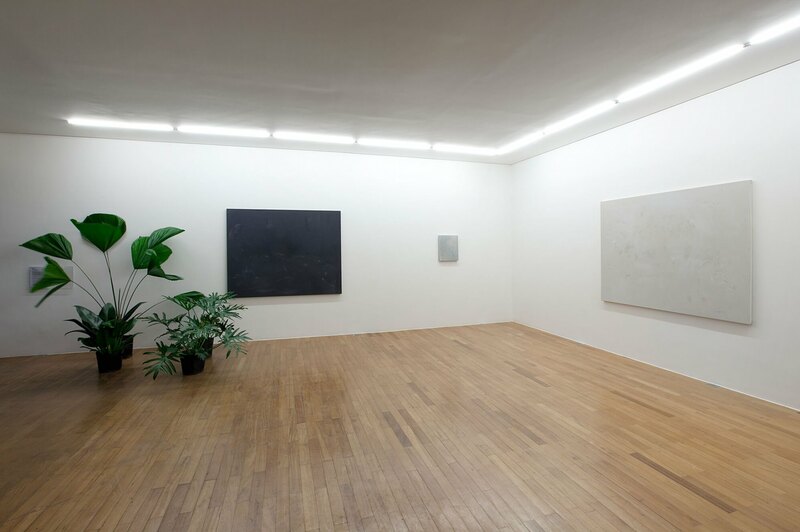 Selected group exhibitions include Painting Between the Lines, Williams College Museum of Art, Williamstown, Massachusetts, 2013; Nothing, Like Something Happens Anywhere, Chapter, Cardiff, Wales, 2012; Museum of Old and New Art, Tasmania, Australia, 2011; Saatchi Gallery in Adelaide: British Art Now, Art Gallery of South Australia, Adelaide, Australia, 2011; Painted Over/Under, LACE, Los Angeles Contemporary Exhibitions, Los Angeles, USA, 2011; Painting Between the Lines, CCA Wattis Institute for Contemporary Art, California College of the Arts, San Francisco, USA, 2011; British Art Show 7: In the Days of the Comet, Hayward Touring Exhibitions, United Kingdom, 2010; Newspeak, Saatchi Gallery, London, United Kingdom, 2010; Visible Invisible: Against the Security of the Real, Parasol Unit, London, United Kingdom, 2009; Eyes Wide Open – New to the Collection, Stedelijk Museum, Amsterdam, The Netherlands, 2008; Nonknowledge, Project Arts Centre, Dublin, Ireland, 2008; Prix de Rome 2007, de Appel, Amsterdam, The Netherlands, 2007; Very Abstract and Hyper Figurative, curated by Jens Hoffmann, Thomas Dane Gallery, London, United Kingdom, 2007; How to Endure, curated by Tom Morton, Athens Biennial, Athens, Greece, 2007; Just in time, Stedelijk Museum, Amsterdam, The Netherlands, 2006; Le Nouveau Siècle, curated by Xander Karskens, Museum van Loon, Amsterdam, The Netherlands, 2006; Vincent van Gogh and Expressionism, Van Gogh Museum, Amsterdam, The Netherlands, 2006.